Evidence Of Racial, Gender Biases Found In Faculty Mentoring Research found faculty in academic departments linked to more lucrative professions are more likely to discriminate against women and minorities than faculty in fields linked to less lucrative jobs. Research found faculty in academic departments linked to more lucrative professions are more likely to discriminate against women and minorities than faculty in fields linked to less lucrative jobs. Now, when preschoolers get to college, some will have professors who take sustained interest in guiding them. This often happens because a student reaches out for a mentor. Now let's hear how that time-honored process suffers from bias. Our colleague David Greene sat down with NPR's Shankar Vedantam. We should be clear of what we're talking about here. This is not professors who sort of help students acclimate to a university, give them directions. We're talking about professors who really invest in a student. SHANKAR VEDANTAM, BYLINE: That's right, David. And perhaps the most important thing is this is intellectual guidance. This is guidance to say: Here's how you should best use your skills. GREENE: And what's the bias you found? VEDANTAM: The bias has to do with how faculty seem to respond to these requests, David. Group of researchers ran this interesting field experiment. They emailed more than 6,500 professors at the top 250 schools pretending to be the students. And they wrote letters saying, I really admire your work. Would you have some time to meet? The letters to the faculty were all identical, but the names of the students were all different. Let me read you some of the names and you can tell if you can pick up a pattern. VEDANTAM: Brad Anderson. Meredith Roberts. Lamar Washington. LaToya Brown. Juanita Martinez. Deepak Patel, Sonali Desai, Chang Wong, Mei Chen. Do you see something, David? GREENE: It sounds like a diverse group. I mean these are names that come from different ethnic and racial backgrounds. VEDANTAM: That's exactly what the researchers were trying to establish. And all they were measuring was how often professors wrote back agreeing to meet with the students. And what they found was there were very large disparities. Women and minorities systematically less likely to get responses from the professors and also less likely to get positive responses from the professors. Now remember, these are top faculty at the top schools in the United States and the letters were all impeccably written. I spoke to Katherine Milkman at The Wharton School at the University of Pennsylvania. She conducted the study with Modupe Akinola and Dolly Chugh. And Milkman told me she was especially struck by the experience of Asian students. Here she is. KATHERINE MILKMAN: We see tremendous bias against Asian students and that's not something we expected. So a lot of people think of Asians as a model minority group. We expect them to be treated quite well in academia, and at least in the study and in this context we see more discrimination against Indian and Chinese students that against other groups. GREENE: I mean Shankar, I guess that disparity, specifically is surprising. But disparities at all seem surprising early in the 21st century. I mean schools have been trying hard to diversify and attract diverse pools of students for a long time now. VEDANTAM: Yeah. And one of the ways they try to do it David, is by attracting diverse faculty. And Milkman and her colleagues looked to see whether having diverse faculty protected against this kind of bias. Here she is again. MILKMAN: There's absolutely no benefit seen when women reach out to female faculty, nor do we see benefits from black students reaching out to black faculty or Hispanic students reaching out to Hispanic faculty. GREENE: So any idea why all of these faculty members are discriminating between students? VEDANTAM: Milkman found there were very large disparities between academic departments and between schools. Faculty at private schools were significantly more likely to discriminate against women and minorities than faculty at public schools. And faculty in fields that were very lucrative were also more likely to discriminate. So there was very little discrimination in the humanities. There was more discrimination among faculty at the natural sciences. And there was a lot of discrimination among the faculty at business schools. Here's Milkman again. MILKMAN: The very worst in terms of bias is business academia. So in business academia, we see a 25 percentage point gap in the response rate to Caucasian males vs. women and minorities. GREENE: You know, I think of business schools and business programs, you think about money. You think of private schools vs. public schools and you're thinking private schools are generally wealthy. Is money playing a role here? VEDANTAM: To be honest, it's not exactly clear what this means. Milkman told me there has been some research that suggests that wealth can make it harder for people to notice inequality. If you're very wealthy, for example, it's harder to notice the perspectives of people don't have very much. The truth is, we don't really know exactly what's driving this bias among the faculty of the different schools. More research is going to have to look into that. GREENE: Shankar, thanks for coming in, as always. INSKEEP: That's NPR's social science correspondent Shankar Vedantam, speaking with our own David Greene. 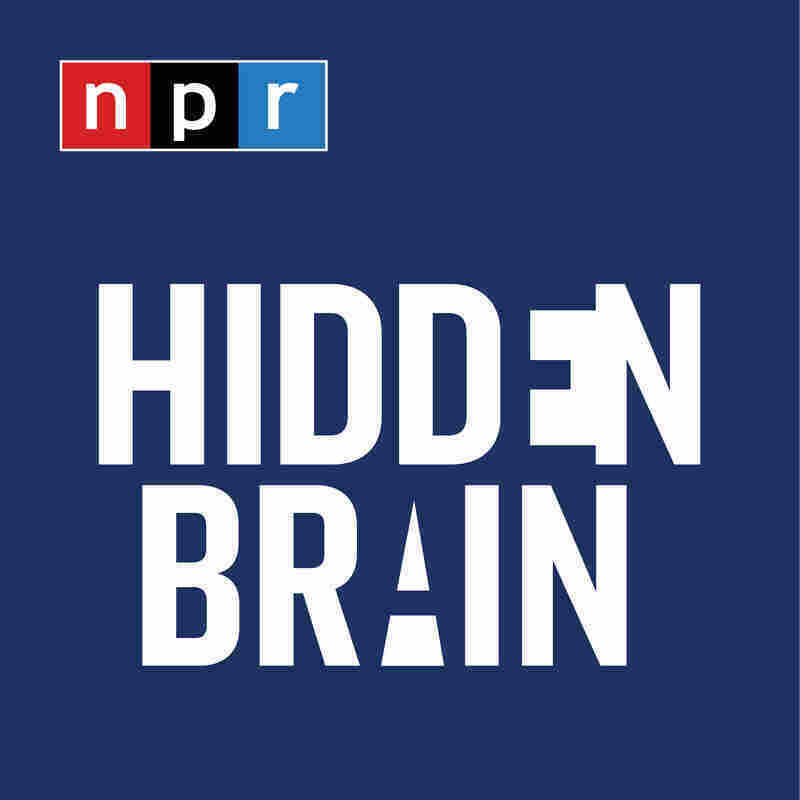 And you can follow Shankar, of course, on Twitter @hiddenbrain. You can also follow this program as always, @nprinskeep and nprgreene and @morningedition.